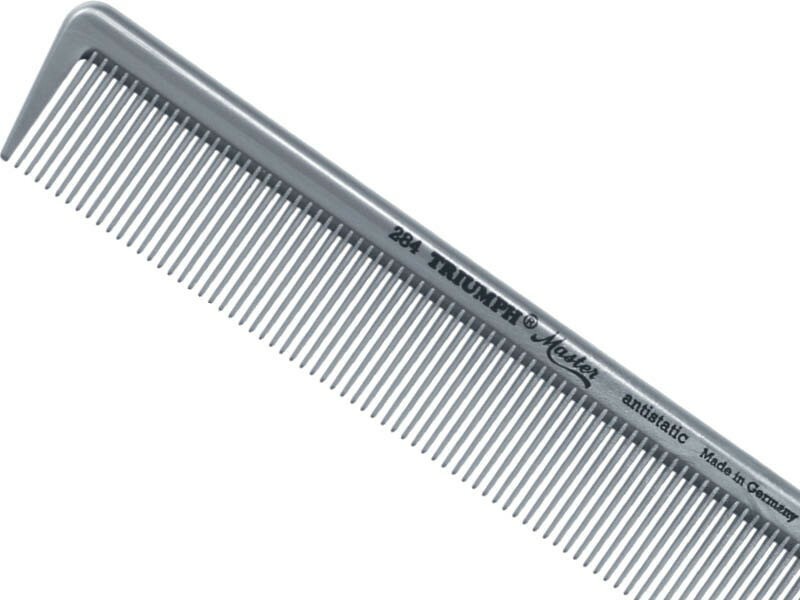 Professional Triumph Master hair cutting comb is crafted in Germany by one of the oldest European manufacturers of exclusive combs and brushes. 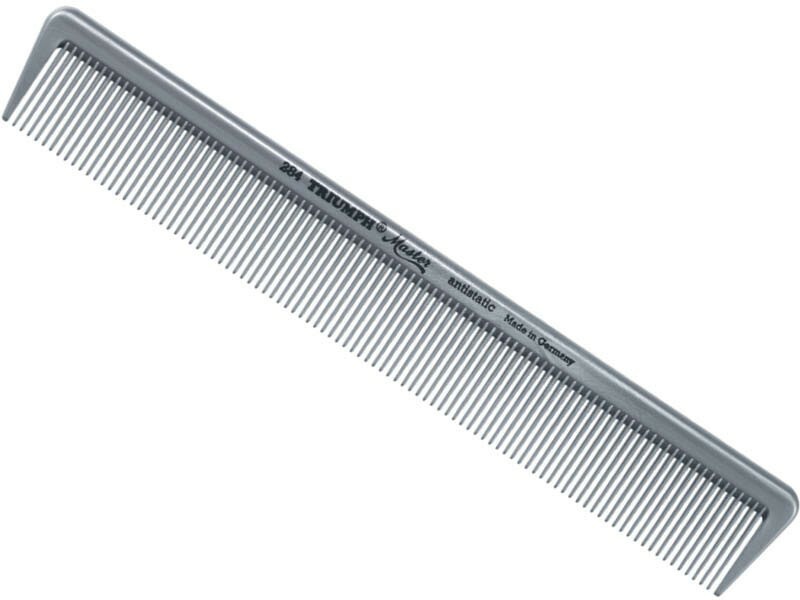 Since 1856, Hercules Sagemann has been dedicated to produce hair combs that meet the highest professional demands and offer the utmost protection to the hair. 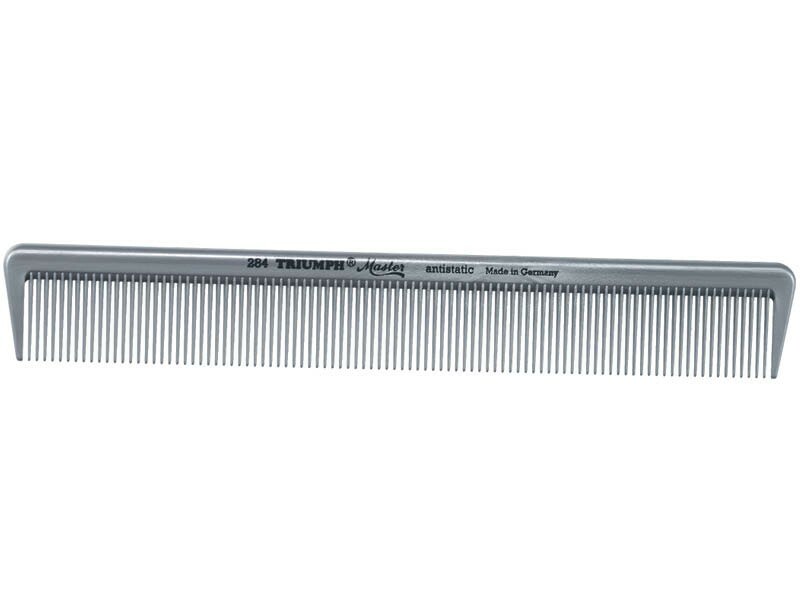 Its Triumph Master hair cutting comb proudly continues these traditions. It is made of special plastic shaped in a premium quality mould and is therefore free of uneven edges that would damage the hair. 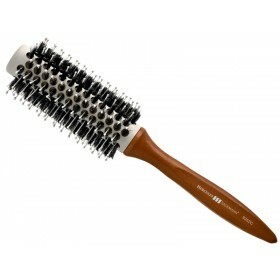 With excellent elasticity and anti-static effects, it glides perfectly through wet and dry hair and fits comfortably into the master's hand. 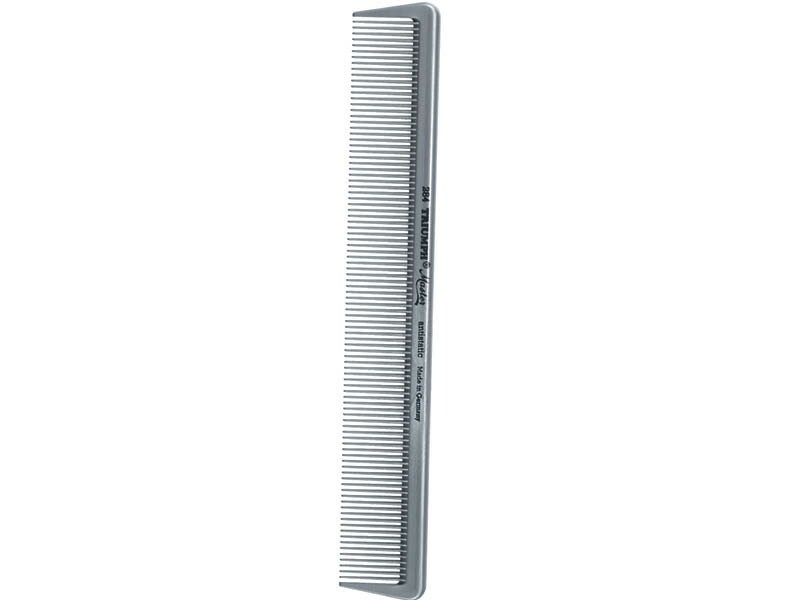 Triumph Master hair cutting comb with all fine teeth is made in Germany and perfectly meets the needs of the price conscious hairdresser and their demands of a high quality working tool. It is made of carefully selected plastic compounds and moulded into its final shape in a single production step. Therefore, it's free of coarse burrs that would pull and rip hairs. 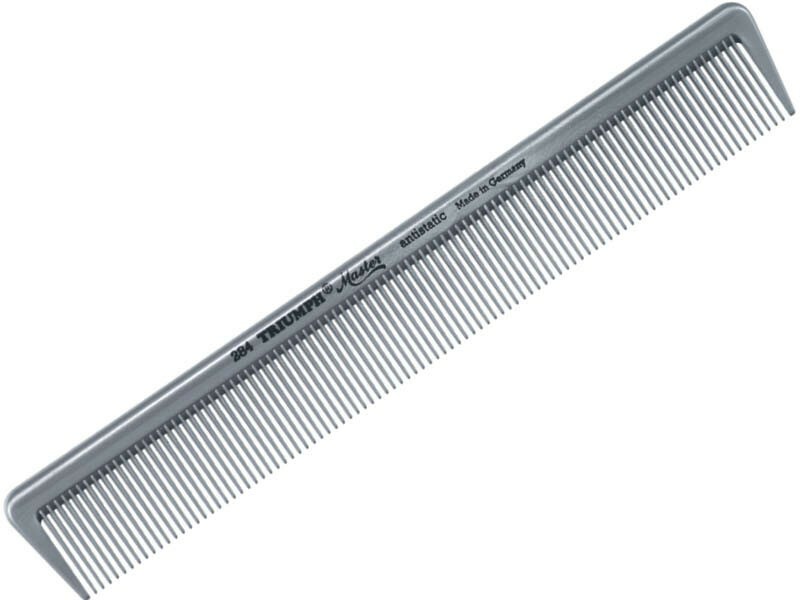 Polycarbonate and polyoxymethylene (POM) compounds, together with high quality moulding tools, determine the comb quality and properties. 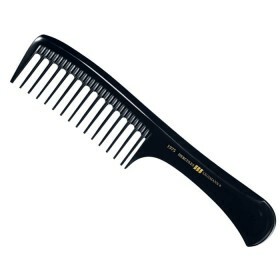 Polycarbonate is known for being extremely resistant and makes the comb almost indestructible. POM adds excellent elasticity needed for perfect gliding without unpleasant snagging. Both compounds guarantee optimal dimensional stability and an outstanding resistance against most of the chemicals used in hairdresser's practice. Length: 7.5” / 19.1 cm.